For many Germans the hyperinflation of 1922 to 1923 was one of the most decisive experiences of the twentieth century. 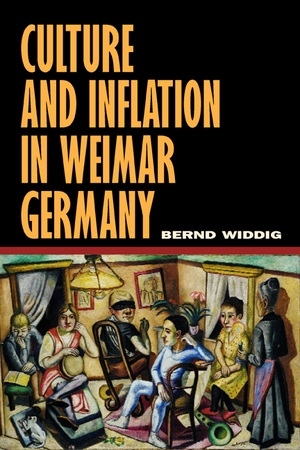 In his original and authoritative study, Bernd Widdig investigates the effects of that inflation on German culture during the Weimar Republic. He argues that inflation, with its dynamics of massification, devaluation, and the rapid circulation of money, is an integral part of modern culture and intensifies and condenses the experience of modernity in a traumatic way. Bernd Widdig is Associate Professor of German Studies and Director of the MIT-Germany Program at the Massachusetts Institute of Technology. He is the author of Männerbünde und Massen: Zur Krise männlicher Identität in der Literatur der Moderne(1992).